We have a new bug report feature in the app! Read on to learn about how to use it. 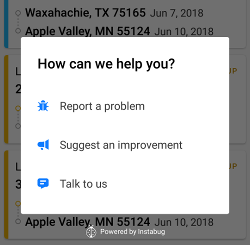 At Super Dispatch, we want to make sure you can report all the bugs you see. Your feeback is the reason that our TMS works so well. After all, you know best. With Super Dispatch open, physically shake your phone in your hand, as if you are quickly waving. This will cause a pop up to appear that starts with "How may we help you?" 1a. This pop box up will also appear if you make screenshot of the error in the app or click big blue button that has been added to the app screen. 3. When you report a problem, you can add screenshots and draw on the photos. This is the same process that you take car photos and mark damages directly on the photo in the car inspection section of our app. 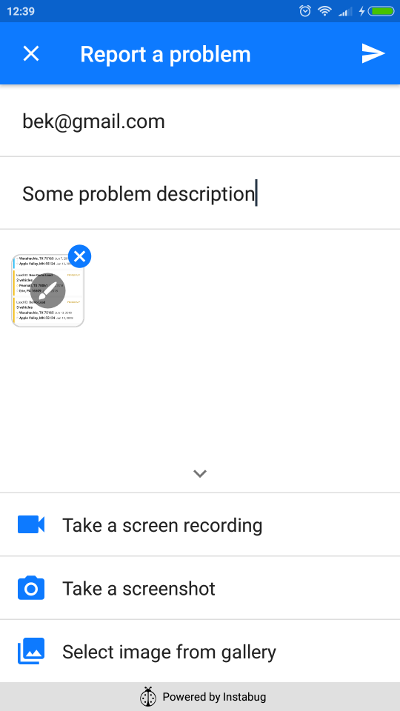 You can also record video with audio in this section. If you don't like the settings (like physically shaking your device to open the pop up bug report) you can change them. Next to each setting, there is a blue or grey icon. This is the on/off switch for that setting. Slide the icon right to turn a setting on. It will turn blue if it is on. Slide the icon left to turn a setting off. It will turn grey if it is off. To take the floating blue dialog button off your screen, turn the "Show bug reporting FAB" button to OFF. 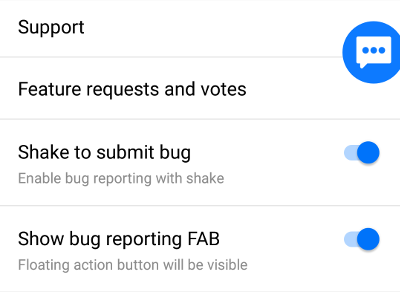 To remove the phone shaking feature, turn the "Shake to submit bug" button OFF. If you have questions, please let us know through the chat support window!